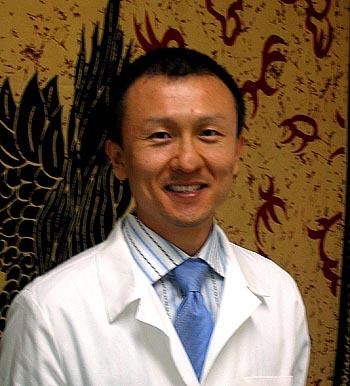 Dr. Kim is a California Licensed Acupuncturist practicing in Santa Monica and is certified by the National Certification Commission of Acupuncture and Oriental Medicine. He received his Masters of Science in Traditional Chinese Medicine in Los Angeles from Samra University, California’s oldest University for Chinese Medicine, graduating with honors and special recognition from the University president. Dr. Kim also researched and practiced at the Samra Clinic with an advanced internship specializing in Sasang Constitutional Medicine for skin disorder and women’s health and infertility. Dr. Kim received his doctoral degree from Yuin University, where he focused on researching different approaches to skin disorders and digestive disorders in association with the four Sasang Constitutions. His enthusiasm for many aspects of Eastern Medicine and Philosophy has led him to exploring the interrelations between Classical Eastern Medicine, Sasang Constitutional Medicine and the ancient healing art of Medical Qi-Gong. Dr. Kim is one of Korea’s first certified Medical Qi-Gong practitioners, and over the past ten years has dedicate himself through Qi-Gong to bringing more peace and health to this world and currently giving the customized qigong exercise and meditation to the patients according to their different conditions. Dr. Kim specializes in treating acute and chronic pain, skin disorders, anxiety, hormonal imbalances, infertility, the rehabilitation of stroke patients and weight control and anti-aging. acupuncture, electro-acupuncture, auricular-acupuncture, moxibustion, cupping, acupressure, Medical Qigong, herbs, nutrition and therapeutic exercise. And he frequently uses such acupuncture techniques as Saam Korean Four needle acupuncture, Master Tong’s.